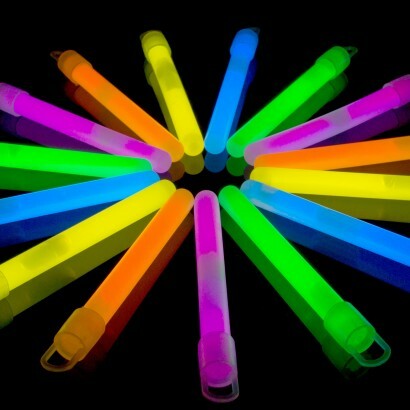 A pack of good quality, individually wrapped 4" glo sticks with a 10mm diameter available in a mixture of 5 colours, Green, Blue, Yellow, Pink and Orange. 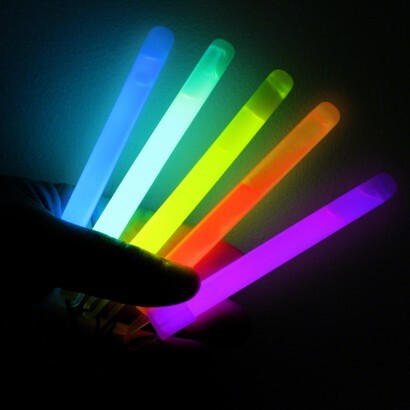 These retail packaged 4" Glow in the dark sticks come in individual cardboard tubes for resale with safety information and instructions on each one. For bulk quantities, please see our larger quantities link at the bottom of the page. 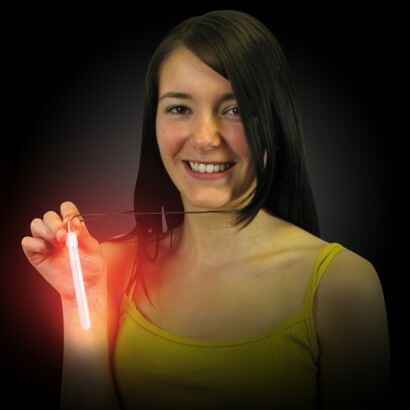 Nobody lights up the world like the Glow Company. Best ever prices, products, packaging and delivery. 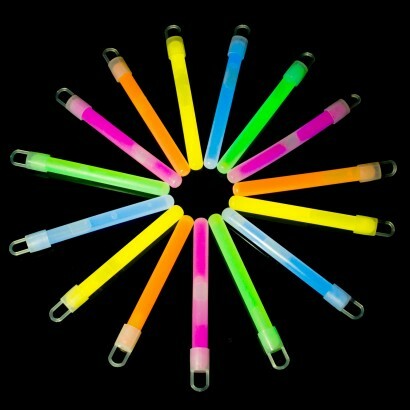 I purchased the 4" X 10mm Glowsticks for my Cub camp. 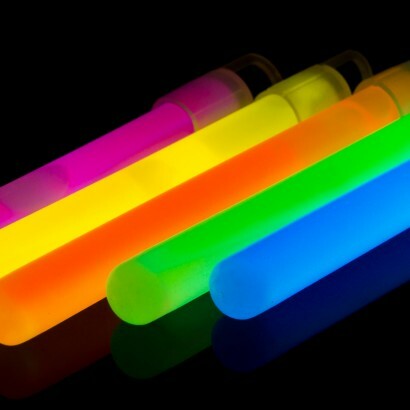 I put them in individual plastic bottles and use as lighting around the camp site and they last for hours. Delivery was very fast and having a discount code to use on my next order keeps me coming back. Perfect for a big group of campers. Brought these for a festival for my kids to wear so I would not lose them! They looked great and kids loved them and they lasted for ages. Delivery was fast. Product was excellent & made my 40th birthday party a great fun time. 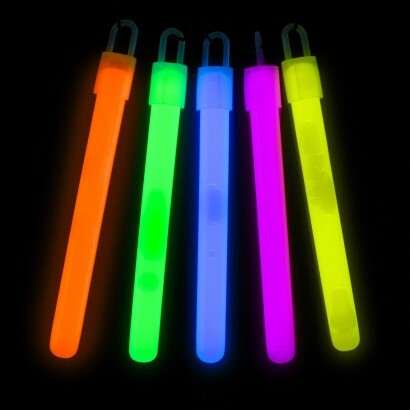 Everyone loved them & they glowed well into the next day.